The typical warning on the side of most temporary spare tires is to avoid exceeding 50 mph, though the actual speed varies from one car to the next. 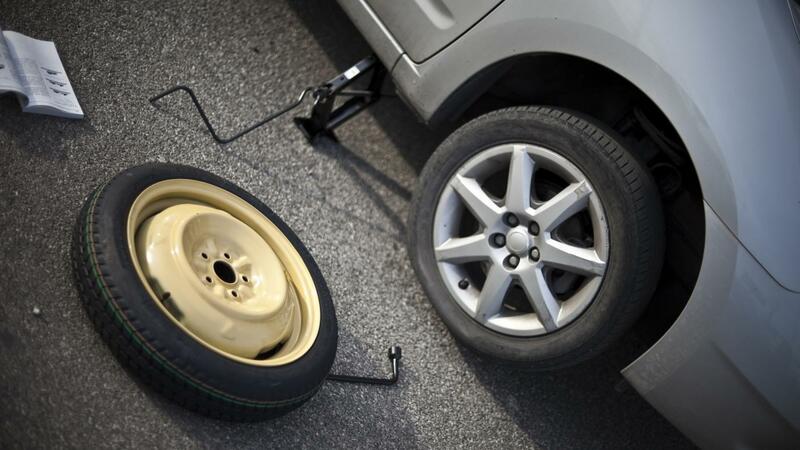 There are additional precautions to be aware of while driving on a spare tire. Most importantly, the driver must avoid exceeding the tire's maximum weight allowance. Most temporary spares, or "donuts," are not designed to be used while towing a trailer or carrying other heavy loads. Also, the driver must avoid using a spare for distances exceeding 50 miles. The spare tire should be checked at least every six months to ensure it has appropriate air pressure – at least 60 PSI so that the spare tire is up to the task when it becomes necessary to use it. How Long Can I Drive on a Spare Donut Tire? How Do You Get a Spare Wheel for a Mini Cooper?